The creative director behind Channel 4's "We're the superhumans" and sibling directing duo The Mundo Sisters took home top awards at the inaugural VOWSS showcase at Cannes Lions, which recognises the best short films and advertising from women. Alice Tonge, head of creative and design at 4Creative, Channel 4’s in-house agency, won best creative direction. 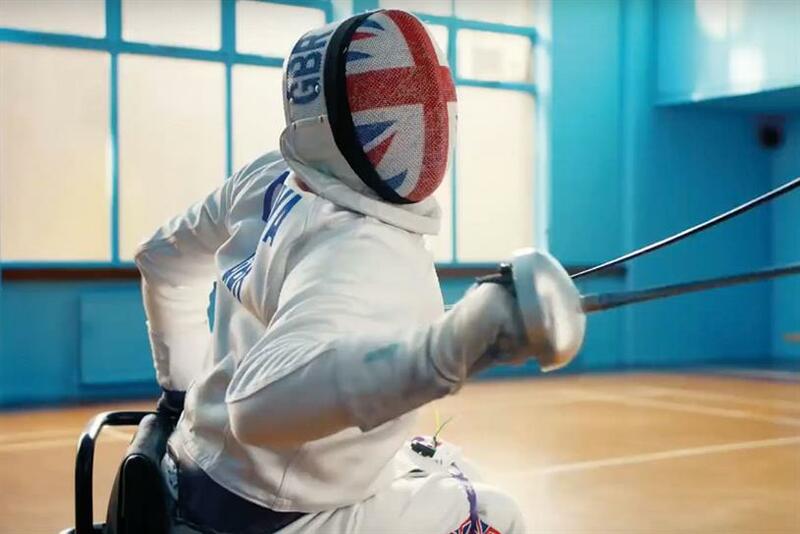 She was creative director of Channel 4’s "We’re the superhumans" campaign for the Rio Paralympics, which has garnered accolades including Campaign’s Campaign of the Year in 2016. The Mundo Sisters took home VOWSS’ top honour for film direction. Sisters Rena Mundo Coshere and Nadine Mundo are the directors of the short film A Field Between for Film 45 and CNN Films, which tells the story of a former CIA operative turned peace activist. Naomi Taylor, a student at the School of Communication Arts 2.0, also received a special student award recognising her emerging talent. VOWSS is a partnership between The Voice of a Woman Film Festival and SheSays. It is sponsored by the agency Mr President, creative media group Rise and Facebook Creative Shop, with additional support from WAVE Studios and Digital Doughnut. The showcase at Cannes Lions on Wednesday screened 11 films and 16 ads by female directors and creative directors from around the world, including Grey London’s joint chief creative officer Vicki Maguire and emerging director MJ Delaney, who is represented by Sharon Horgan’s production company Merman. Laura Jordan Bambach, co-founder of VOWSS, founder of SheSays and chief creative officer at Mr President, said: "We were overwhelmed by the quantity and high calibre of submissions we received for our inaugural showcase. What’s clear from creating the VOWSS is that there’s a massive demand from women to be recognised for their work and creative genius. "VOWSS has shown us that work by women isn’t limited to telling women’s stories. The work can share a different point of view or come from a different place of experience. And this diversity of work is crucial to evolve our global perspectives." Channel 4’s Tonge said VOWSS has helped champion female talent and also reassured her that "the industry hasn’t forgotten about me" after her nine months of maternity leave. "If the experience of making this campaign [‘We’re the superhumans’] has taught me anything, it’s that a ‘yes I can’ attitude can help you overcome pretty much anything," Tonge said. "So whether you’re a single mother with no arms raising a child, or you’re a woman in a wheelchair playing basketball at the Rio Paralympics, being superhuman is a state of mind. "To all those female creatives who are trying to crack the industry, take inspiration from the Superhumans – yes you can."